Thousand Oaks, CA! Become a Host Family for an International Exchange Student! Do you want to make a difference in a young person's life while you learn about another culture, create and build friendships and make ever-lasting memories? Do you have a caring heart and extra space in your home? 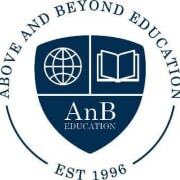 AnB Education is looking for you! Make a difference today and host an international student! Exchange students are between the ages of 15 and 18, and coming mostly from China, South Korea, and Vietnam. AnB Education will get the students enrolled at your local public high school and provide support throughout the program year. We have a Local Coordinator in the area who is excited to work with you!